Generalcargoandpetlogistics.com is not a delivery company. It is a website created by scammers to charge you fees like premium pet insurance. Generalcargoandpetlogistics.com is not a breeders website and this is not a review of Generalcargoandpetlogistics.com. This is a warning. Generalcargoandpetlogistics.com will claim to deliver the using a Fraudulent Delivery company. 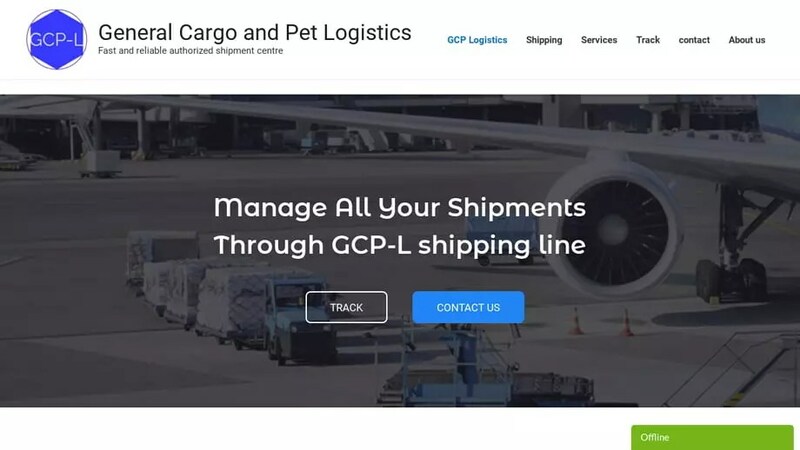 Generalcargoandpetlogistics.com was registered on September 18, 2018 with Hostinger, UAB . Generalcargoandpetlogistics.com was registered using the email address fabricealomo@gmail.com. It was registered 6 months and 25 days ago on September 18, 2018 and expires September 18, 2019. Generalcargoandpetlogistics.com was registered with the domain registrar Hostinger, UAB. To send an abuse report to Hostinger, UAB please click the red button below and complete the email to help shut down Generalcargoandpetlogistics.com!